Great bit of 80's tackle here from Danish rockers Laid Back. 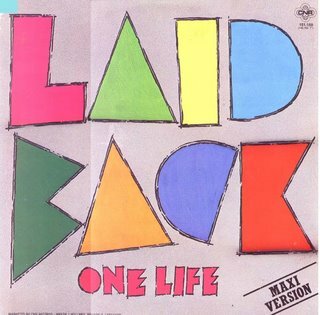 Probably best known best known for the hits 'Sunshine Reggae' and 'Baker Man', 'It's the Way You Do It' was the B Side to 1985's lesser known single 'One Life'. The Velvet Spike Remix does the trick here (Velvet Spike being the moniker of one Mr Shep Pettibone) turning this into balearic dance floor gold.